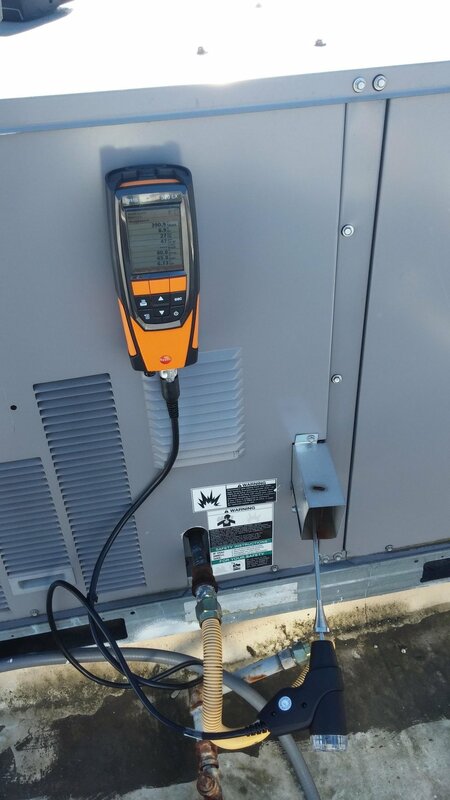 Portland Oregon Commercial Building Diagnostic Testing Inspections. Visual inspections combined with hands on testing of your buildings mechanical, electrical, mechanical equipment, hvac & duct systems. We can efficiently test all major appliances, equipment that supports the building envelop. . Visual inspections combined with hands on testing of your buildings mechanical, electrical, mechanical equipment, hvac & duct systems. We can efficiently test all major appliances, equipment that supports the building envelop. Below is a picture of troubleshooting a electrical issue. With our data loggers we can determine the amperage usage over long periods of time. We also use temperature, humidity data loggers for other applications. We attach our data loggers to high voltage electrical to measure usage over a period of time. One day to one year depending on your needs. Duct supply air flow testing will tell a story regarding if the duct system is to large or to small. We also compare flow with the design of the system to see if you are receiving the correct amount of air flow. We measure the amps per electrical device to see if they are in specs of the original design on manufactures requirements. Measuring the amperage on electrical motors or devices will provide detailed information on that device. We test commercial appliances to see if they are in specs of the manufactures design. We check door seals, temperatures, amp draws. Always check out equipment before buying a business. By testing the flue gas we can tell you if the system is operating efficiently or poorly. Plus we can tell you if there is a cracked heat exchanger. We conduct combustion testing on all gas or oil fired equipment. Efficiency is always a big concern. Often times we find cracked heat exchangers. Formaldehyde causes health concerns and even cancer. Formaldehyde Testing. This is becoming more common. Air quality. How many inspection companies will take the time to test your air quality? We test for lead in paint and drywall. HVAC airflow duct balance testing. Knowing if your duct system is providing the right air flow to each room is critical for evenly temperature balanced rooms.